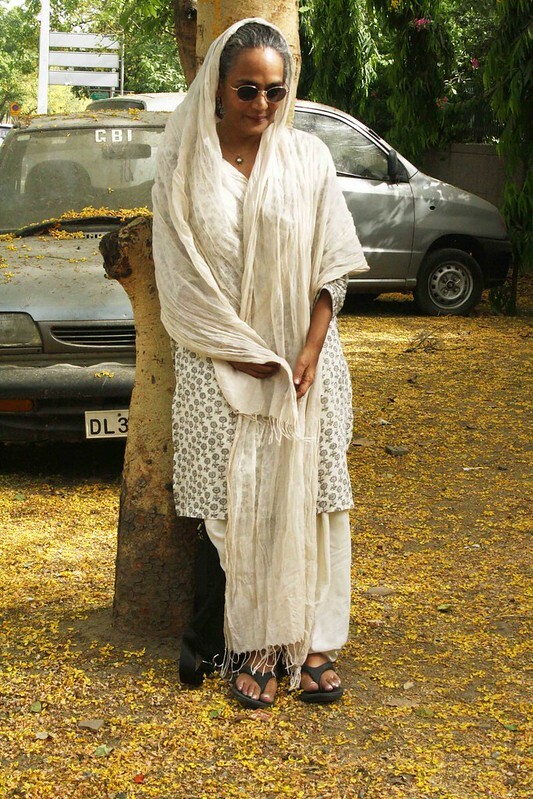 One summer afternoon, The Delhi Walla sighted his most beloved Delhiite – writer Arundhati Roy. 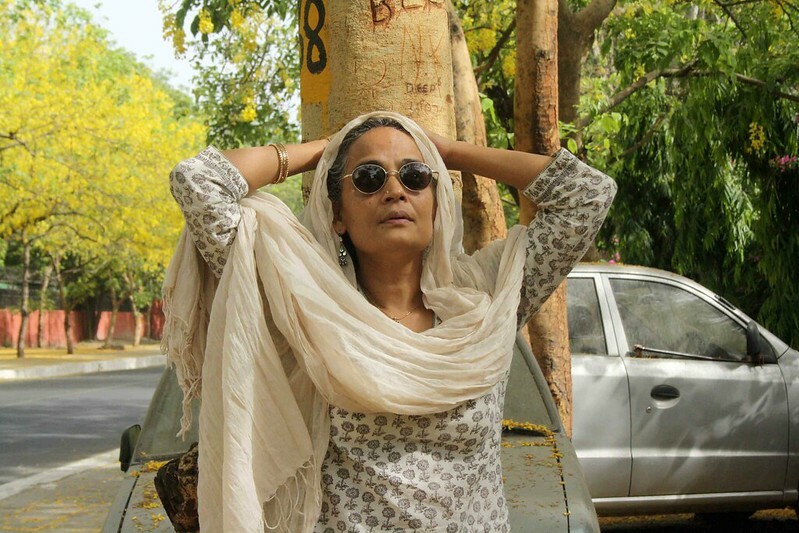 The site: Central Delhi’s Tansen Marg. 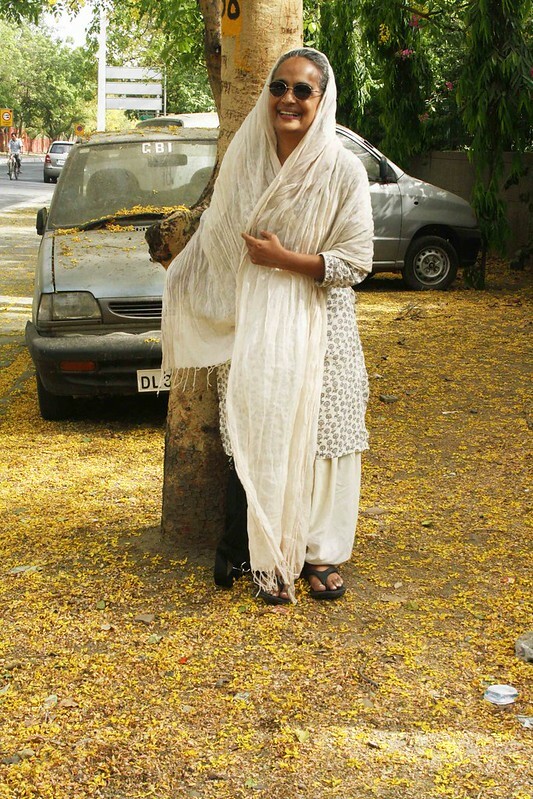 The author of The God of Small Things was standing under an Amaltas tree. For everyone to see. Yet, it was impossible to see her. 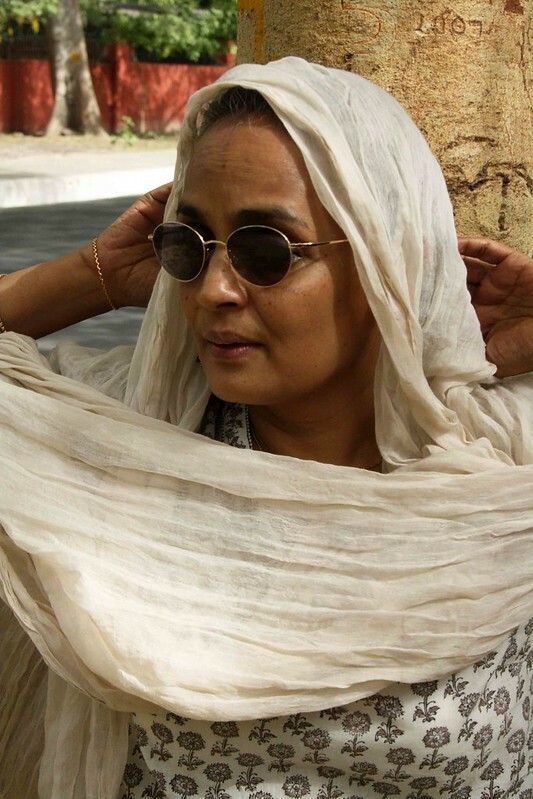 For she was hidden behind dark sunglasses. With story-secrets in her eyes. A minute later, Ms Roy half-opened her mouth as if she were about to blow a perfect smoke ring. A moment later, she shut down her lips. 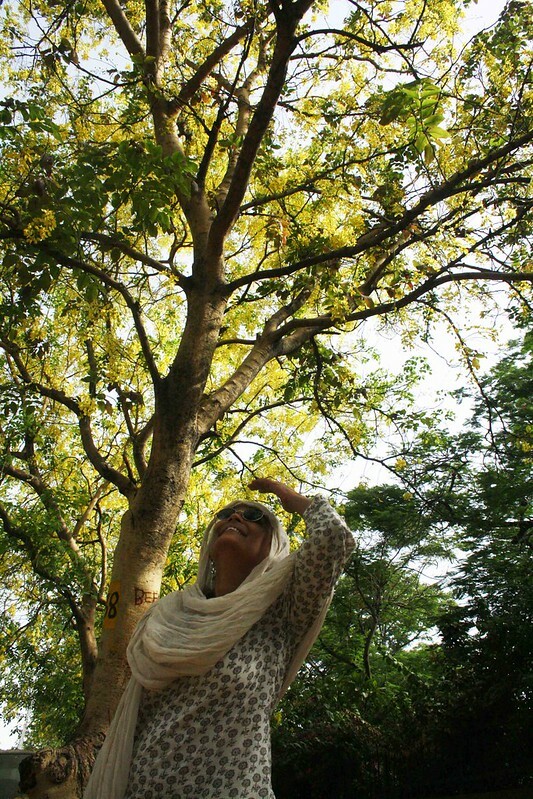 Next, she looked at the Amaltas — the tree was covered with the season’s yellow flowers, a few had fallen on the ground. 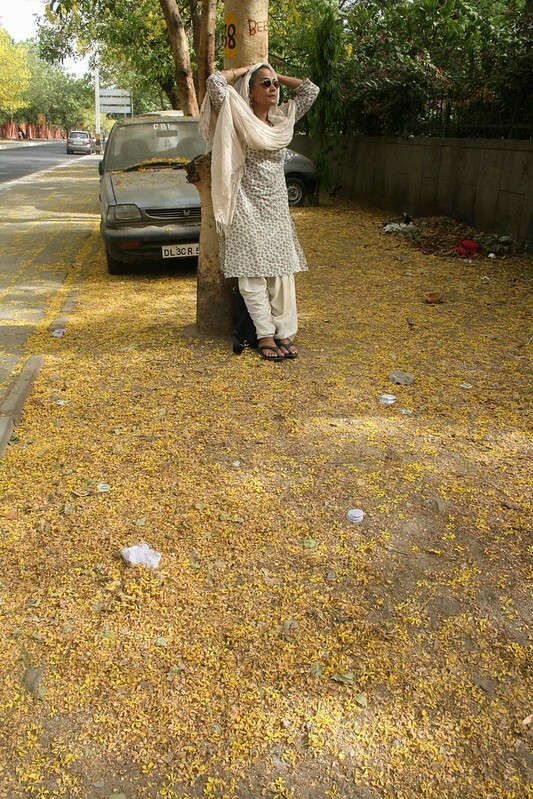 Looking down at the yellow pavement, the novelist laughed a not-so-hollow laugh and skipped away cheerfully. To climb into her reader’s eyes. OMG!!!!!!!!!! Did you finally talk to her?!?!?!?!? !